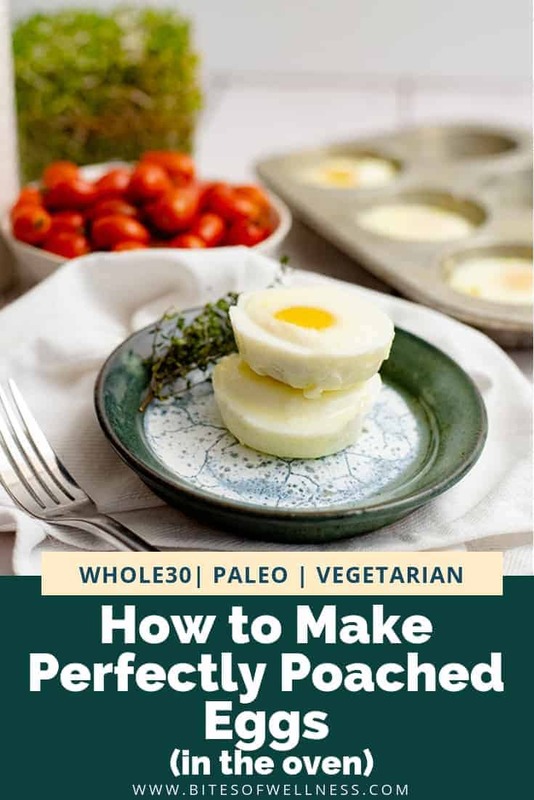 If you love poached eggs but don’t want to go through the hassle of making them one at a time on the stove, you are going to love these tips on how to make the perfectly poached eggs in the oven! 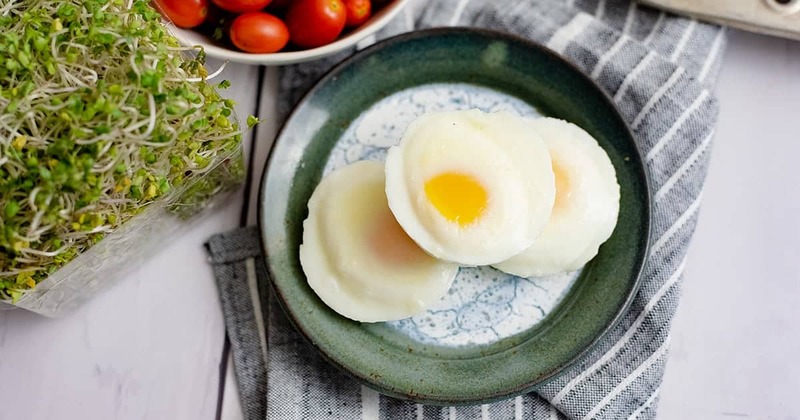 These eggs are naturally gluten free, paleo, Whole30 and vegetarian and are the perfect addition to any meal! In college I learned that the egg is the perfect protein. It’s the standard measure that they measure other sources of protein against. And I can’t argue, the egg is the perfect way to add protein to just about any recipe. But often I don’t have time to make eggs every morning. Life is busy but that doesn’t mean I need to give up having a delicious and healthy breakfast each day. Instead I make a batch of perfectly poached eggs in the oven on the weekends to use throughout the week. You are not going to believe how easy it is to make oven poached eggs. You only need a few key ingredients and about 15 minutes. The best part about them is that all the eggs turn out exactly the same! If you are anything like me, making poached eggs on the stove is not even worth the effort. 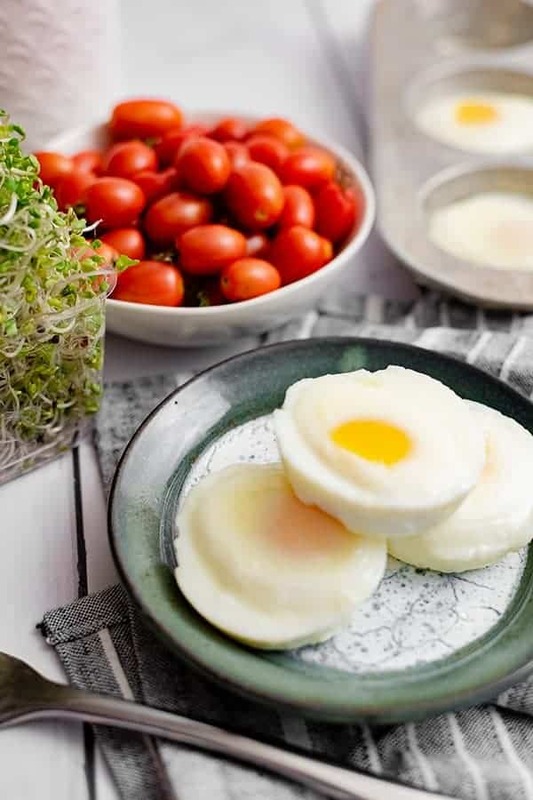 I almost never have success, the egg white gets all distorted, the yolk breaks, or the poached eggs appear done but when you put them on the plate, the excess water destroys the experience! Well no worries, this method for perfectly poached eggs in the oven will make it so you have the easiest, perfectly poached eggs every time! 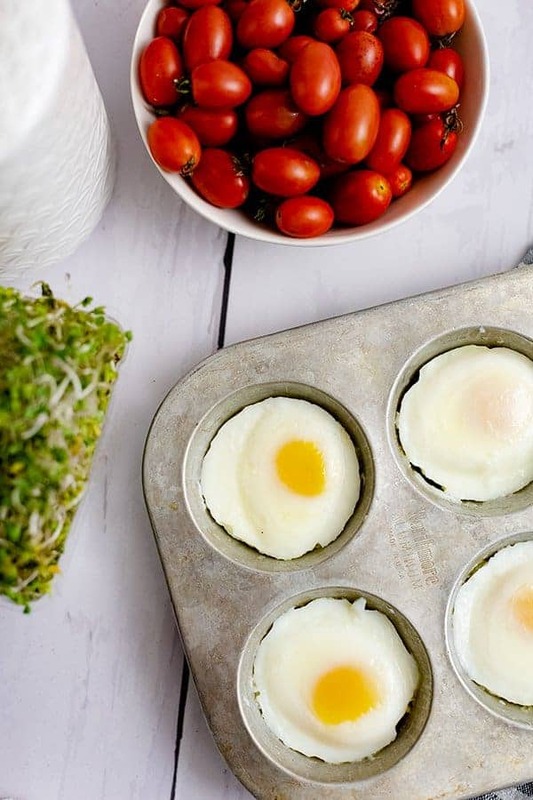 You can even make these poached eggs in the toaster oven! Poached eggs are usually made in a pot of simmering water on the stove, often requiring you to have some luck and some technique. 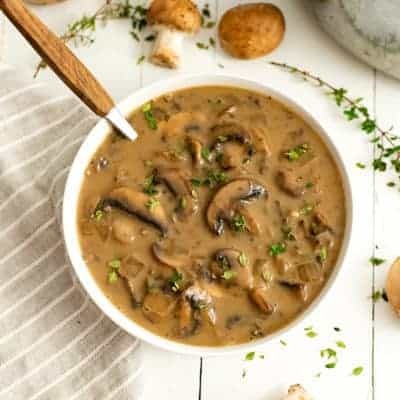 Usually there are tips about adding vinegar to the water, stirring it, using a ramekin to slowly lower the egg in the simmering water and so on. I don’t know about you but when I’m in a rush in the morning, the last thing I have time for is a 10 step process for my eggs. Instead I use this method to make perfectly poached eggs in the oven using a muffin tin and water! 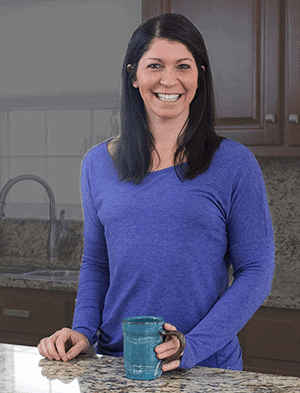 First you need to preheat your oven or toaster oven. Next add 1 tablespoon of water to each muffin tin cavity that you plan on adding your eggs to. Next crack an egg in each cavity that you added the water to. Then you will simply just bake your eggs in the oven until they reach the desired doneness. For more done eggs (think a hard boiled egg) bake for 13-15 minutes. One thing to note is that because you added water to the muffin tins, you will have to use a press test to figure out the doneness of the eggs (or take one out and cut into it). This is because the water will move to the top of the eggs and the eggs will appear less done than they actually are. To remove the eggs from the pan, simply use a spoon to remove them! 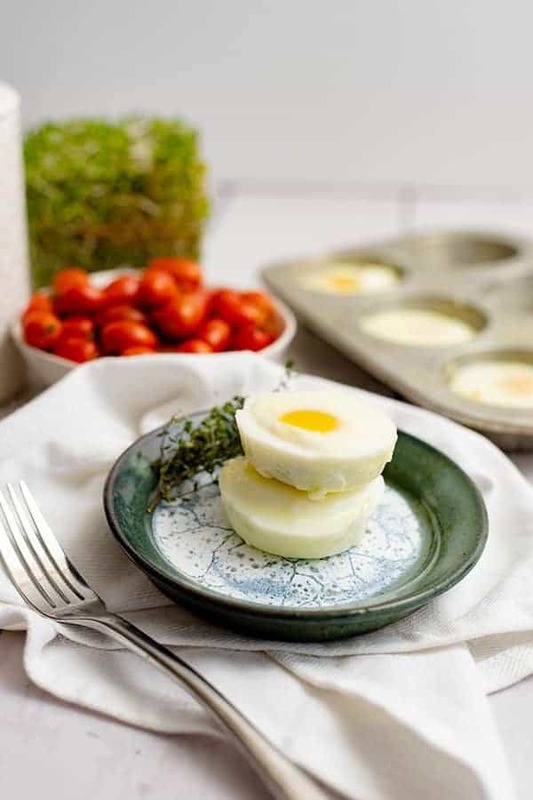 If you feel like they are sticking to the muffin tin, you can first go around each egg with a knife but they should easily come out with a spoon. 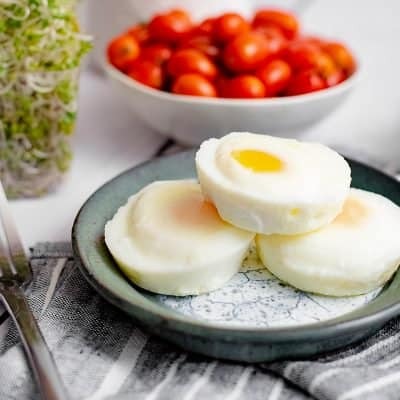 Make perfectly poached eggs in the oven using these simple techniques! You can easily feed a crowd with this method of poaching eggs in under 15 minutes! 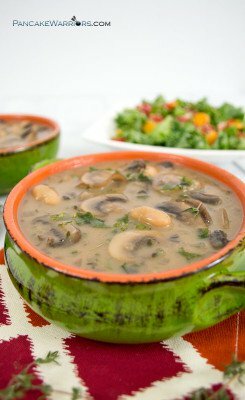 Perfectly cooked and easy to make, you can even use your toaster oven! Using a muffin tin, add 1 tablespoon of water to each cavity of the muffin tin. Crack 1 egg per cavity of the tin (making 1 or 12 at a time). Bake in the oven for 10-16 minutes, depending on desired doneness. 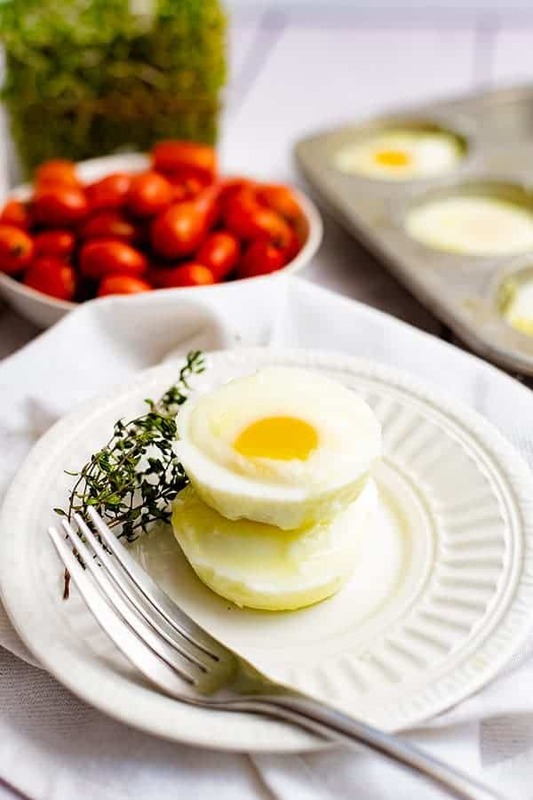 For runny yolks cook 10-13 minutes. For firmer yolks cook 13-16 minutes. Remove the eggs from the oven and remove the eggs from the muffin tin using a spoon. Serve hot, room temperature or cold. Eggs are a meal prep staple in our house. These were so easy and perfect on my salads.